I participated in a fish sampling this past Tuesday and was amazed at the quality of the fishery that exists at the WILLOW WATERHOLE. 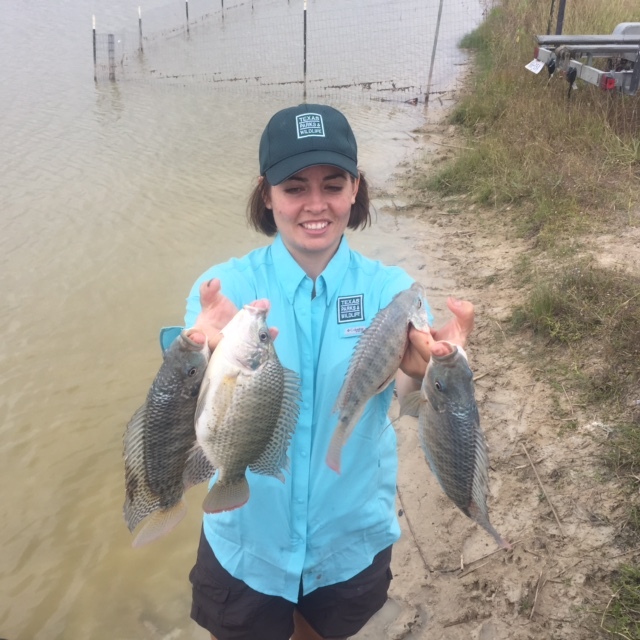 We collected a variety of species including some large mouth bass, check out this nice specimen being displayed by Alice Best, fishery biologist with the Texas Parks and Wildlife Inland Fisheries Department. We also saw Sunfish, Shad, Tilapia, Carp and Armored Catfish. 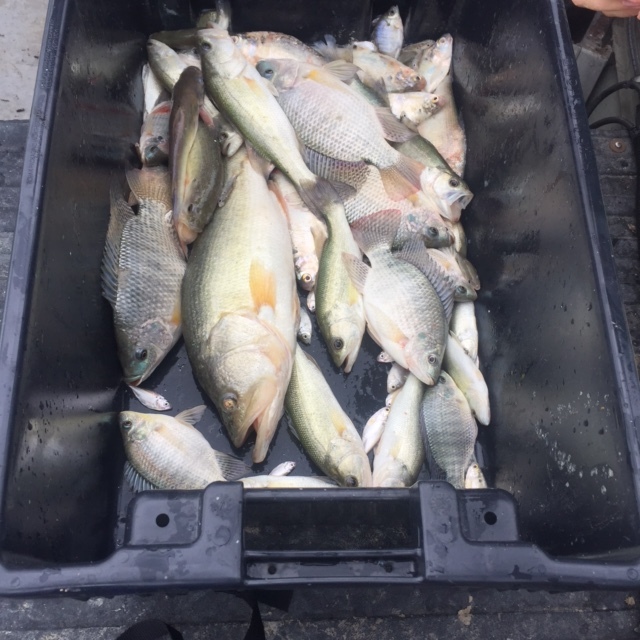 The fish were in catchable numbers and size to justify a nice morning or afternoon’s effort. Hi, I lead a group of boy scouts that want to try to fish the waterhole…any tips about where to fish…and access? ?